Once again SaddleBrooke Community Outreach (SBCO) traveled to Oracle to provide Thanksgiving Food Baskets to families in the area. 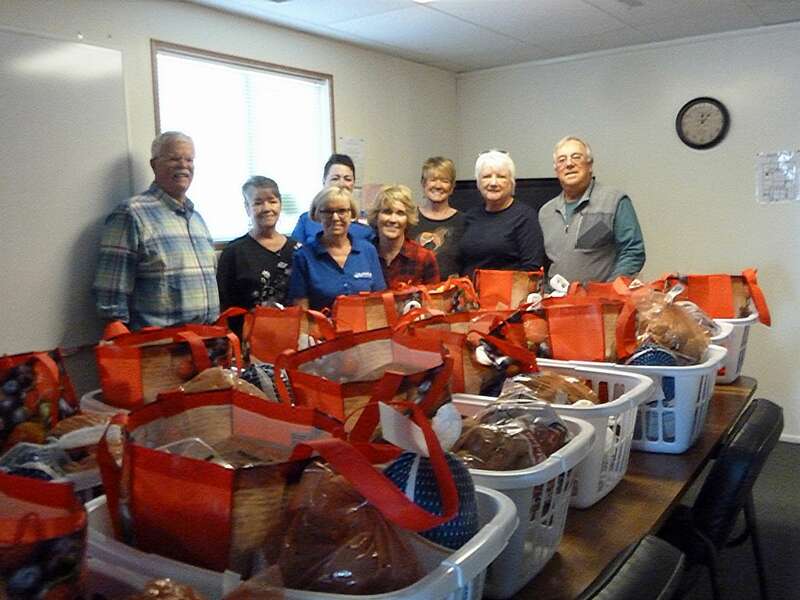 This year 40 baskets were distributed, filled with all the traditional Thanksgiving items including a large turkey and all the trimmings. In addition to these baskets, SBCO supports the Holiday Food Basket Program of the Tri Community Food Bank with food and cash donations. This year’s efforts were supported by the generosity of the Walmart Neighborhood Market and by donations from the community. SBCO is celebrating its 20th year of service to the children of the area. If you would like to learn more about the food related programs sponsored by SBCO or any of its other programs visit our website www.comminity-outreach.org, call our offices at 825-3302, or stop by our offices now open Monday through Friday from 9am until 3pm. We are located in the community shopping center, 63675 S. SaddleBrooke Boulevard, Suite L. Volunteers are always needed and welcomed.